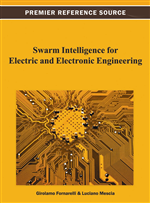 In this chapter, a particle swarm optimizer is applied to solve the problem of short-term Hydrothermal Generation Scheduling Problem – one day to one week in advance. The optimization problems have been formulated taking into account binary and real variables (water discharge rates and thermal states of the units). This proposal is based on a strategy to generate and keep the decision variables on feasible space through the correction operators, which were applied to each constraint. Such operators not only improve the quality of the final solutions, but also significantly improve the convergence of the search process due to the use of feasible solutions. The results and effectiveness of the proposed technique are compared to those previously discussed in the literature such as PSO, GA, and DP, among others. Planners need a set of basic elements for the problem formulation.